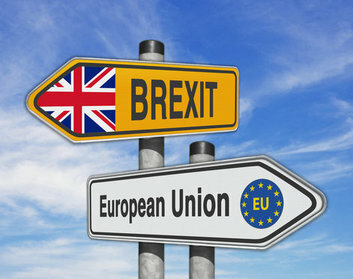 Home Blog News Brexit: How will it affect HardSoft, our customers, and Tech Startups? Brexit: How will it affect HardSoft, our customers, and Tech Startups? We ask our Co-Founder, Andrew Morgan, how he thinks leaving the EU will impact the business and our customers. How are you preparing the business? We are anticipating supply issues. We have agreed with vendors stocking models that will mitigate some aspects of the delays. We have also ensured that HardSoft has increased local configuration facilities in place to mitigate the, at times frustrating, channel tendency to configure a unique SKU from the vendor (generally manufactured within the EU at present). In real terms, we will move to upgrade components where we can ourselves rather than rely on a finished product from the manufacturer. How will leaving the EU affect the supply of Apple Products? Apple does not hold much physical stock in the UK. Warehousing is in Ireland, which may be a problem. To mitigate issues we are holding more stock and the UK distribution channel for Apple has increased warehousing by some 500,000 sq ft. to hold more stock. This won’t be helpful for ‘CTO’ products that are built directly in China, then shipped to Ireland, then back into the UK. This may mean significant delays to deliveries. Customers are advised to think ahead and plan in such delays in these specially built models. We believe it won’t do as there are no global Tariffs on computer goods and components. Therefore, if the UK exits without a ‘deal’ and we trade under WTO rules, then there should be no additional tariffs to pay. If however the value of £/Sterling changes then it’s likely there would be a shift in pricing. Back in 2015, Apple increased prices by circa 20% because of currency changes. Common components such as RAM are priced daily against the $/US Dollar. This may see an immediate impact if the £/Sterling starts moving downwards. What advice would you give HardSoft’s customers? The British Chamber of Commerce has produced a thorough Brexit Checklist and we have found this a constructive way of enabling us to review all the no deal issues that may arise. The checklist can be found at https://www.britishchambers.org.uk/page/brexit/business-brexit-checklist and we recommend our customers use this. The checklist provides plenty of links to other official guidance. Your local Chamber of Commerce should also be of help for specific queries. What do you think this could mean for small businesses? To many, a fear will set in and we believe ‘cash’ will become tighter and normal cash flows may decline. Our business is built around offering Leasing solutions to business and we expect an increase in business as customers protect their cash and move to other solutions to acquire equipment.